"Just Farmers" or Scientists in Overalls? by Melinda Hemmelgarn, M.S., R.D. When asked about their work, have you ever heard a farmer say, "Oh, I'm just a farmer"? Despite popular bumper stickers that read "No Farmers, No Food," I don’t think our society fully appreciates and values good farming. Through the eyes of a dietitian who sees the connection between food, health and agriculture, I see that organic farmers stand at the forefront of preventive medicine. By producing safe and nutritious food -- without synthetic fertilizers or chemicals, antibiotics or hormones -- organic farmers protect our environment, thereby practicing true health care. After visiting dozens of farms across the country and interviewing farmers about their practices, I learned that by not relying on “easy” chemical fixes, organic farmers have to be “systems thinkers” -- navigating complex sets of variables and relationships to find solutions to their challenges. I've noticed that the best farmers share the same traits as the most respected scientists: they're curious and keen observers, and critical thinkers; they test hypotheses, assess results and share discoveries. Farmers simply practice their research in the field. If you search the words “scientist + image” on the internet, you'll see pictures of how our culture portrays scientists. Most are men in white lab coats, holding test tubes or sitting behind microscopes. They’re never in overalls -- that's the internet image of “farmer.” So I asked a few of my favorite farmers if they thought of themselves as “scientists.” Here's what they said. 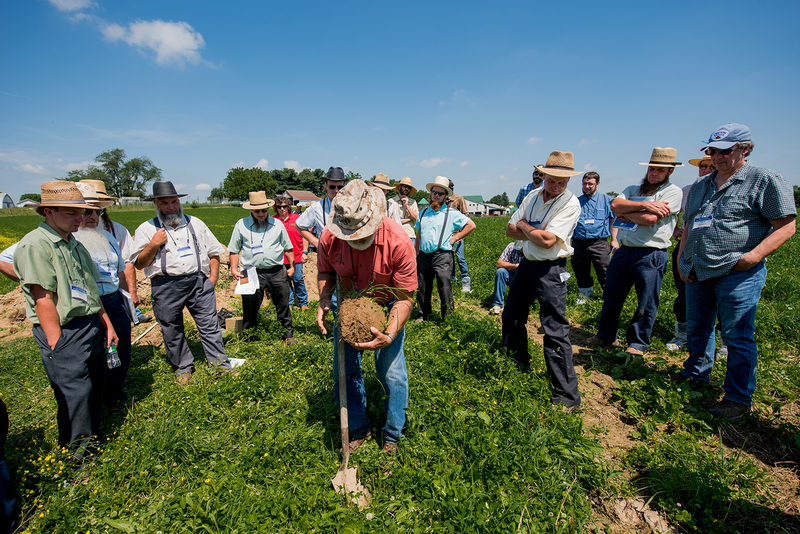 Organic Valley farmers gather around Soil Agronomist Mark Kopecky on a blue-sky day at a soil and pasture workshop in Ohio. "Science and traditional knowledge are mutually beneficial, a complementary pairing." 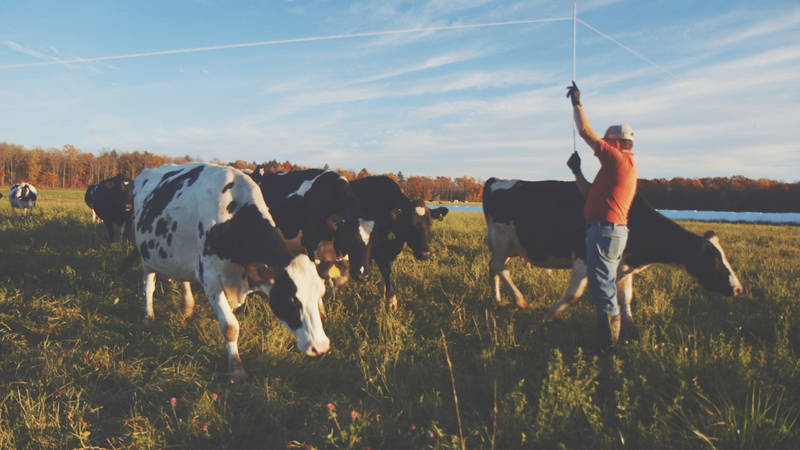 Organic Valley farmer, Kevin Mahalko, lifts fencing for cows to graze on pasture. David Abazs in Finland, Minnesota, explains that organic farmers must uniquely figure out how to use natural predators or interfere with pest life cycles to best manage their crops. “It is this observation, questioning and research that make organic farming so magical to me,” he says. David, like many farmers, also participates in “formal” scientific research through university and Department of Agriculture grants. 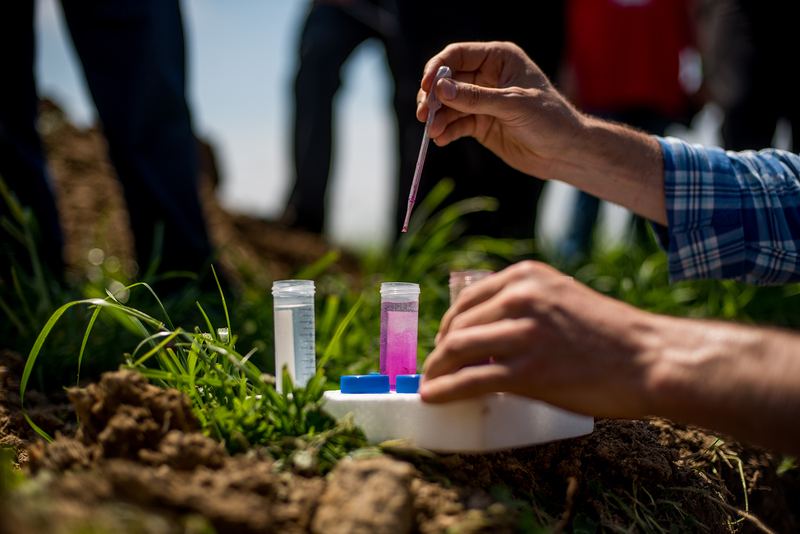 Test tubes turn bright pink during a soil testing demonstration at an educational workshop for Organic Valley farmers in Ohio. Several years ago, I was invited to debate Robb Fraley, chief technology officer for Monsanto in St. Louis, Missouri. Fraley asserted that genetic engineering and related herbicides are proven safe and necessary to feed the world. I shared examples of unintended consequences, including drift damage, loss of biodiversity and health risks. I remembered the wise words of farmer and philosopher Fred Kirschenmann, Ph.D., who spoke at the 32nd National Pesticide Forum in Portland, Oregon. He explained that science is not an accumulation of facts, but rather, an ongoing process. Similarly, Debal Deb, a pioneering ecologist who works with traditional farmers in eastern India to conserve indigenous rice seed diversity, holds a holistic philosophy of environmental health and the scientific method. Deb is not impressed by genetic engineering or hybrid rice growing. In Deb's work, highlighted in the film The Farmer, the Architect, and the Scientist, neither science nor traditional knowledge are portrayed as superior -- the two are seen as mutually beneficial, a complementary pairing. He works with farmers as fellow scientists in the laboratories that are their fields, truly recognizing the depth of their knowledge. Likewise, I encourage organic farmers to stand proud and share your scientific wisdom, intuition and practice -- overalls and all.